Turning Vision Into Action: Reflecting on PLC Team FLOW this summer! This week, I had the opportunity to work with some great administrative friends and colleagues in a southern California school district. We spent time together working on a learning team "Diagnostic Tool" designed to determine the current state of flow for each learning team in their PLC school (for many of the leadership teams, this was as many as 20+ teams). We then designed personal leadership actions and commitments members of the Administrative leadership teams would take - in order to support all learning teams within the PLC to move into a FLOW state in 2011-2012. For a copy of the Powerpoint slides used to guide this work, you can click here. For a copy of the excerpt from the Five Disciplines of a PLC Leader (2011) that describes the strategies for placing teams into the FLOW, you can click here. At the same time Peter Senge's Fifth Discipline (1990, 2008) was released, psychologist Mihaly Csikszentmihalyi (pronounced chicks-SENT-me-hi) summarized his 15-year study regarding the experience of a highly engaged peak performing positive energy work life in his book FLOW: The Psychology of Optimal Experience (1990). The impact and theory of his work also has been sustained for more than twenty years and includes an updated version in 2008. Csikszentmihalyi (2008), former professor and chairman of the Department of Psychology at the University of Chicago, is the leading researcher and architect to the notion of FLOW or “the way people describe their state of mind when consciousness is harmoniously ordered, and they want to pursue whatever they are doing for its own sake” (p. 6). In other words, as a PLC leader, you are in the state of FLOW at work when you are fully immersed in a feeling of energized focus, full involvement, and full engagement, while experiencing an incredible success in the process of the days’ weeks’ or months’ activities. To keep your PLC learning teams in the optimal peak performance or FLOW, you must provide the proper balance between the team’s current knowledge and skill level (their current ability to respond with success), with the level of complexity for the task actions or challenges presented. You should measure the placement of your current PLC learning teams on the “flow chart” diagram provided in the Figure . PLC learning teams will exist in a variety of places within or outside of the FLOW channel. One of your tasks as a PLC leader is to create or make opportunities for the PLC learning teams to either stay in or move toward the flow channel—and to keep the teams moving “up” the flow channel to more complex levels of work performance. 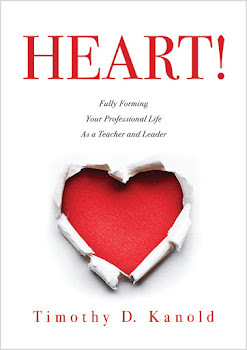 This requires a sense of forever improvement by the teachers, the teacher teams, the administrators, and the students—an essential expectation of the professional learning community culture and movement. The same is true for you. As a PLC school leader, you must also monitor and manage the FLOW of your own tasks and activities in your leadership work life and be very careful to notice when the energy of your leadership life is being drained by either boredom or stress. 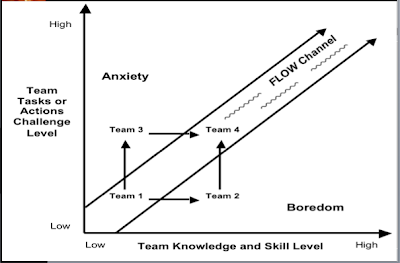 Are you personally improving your level of complexity up the flow channel while remaining fully engaged in your work? Do you use specific strategies to help you stay in the flow channel in your leadership work? As building leaders, we used the above model as a tool to assess where our different teams were at in their own continuum of FLOW. This tool really helped us then determine goals/strategies to assist each team with getting to the state of FLOW. Thank you so much for sharing. 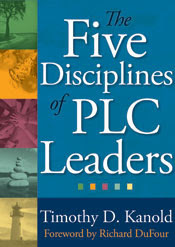 Separately, I just finished Chapter 1 from your book The Five Disciplines of PLC Leaders, and it is intriguing and inspiring. I'm working on recording the decisions & factors (p.15) I make each day so I can see what my beliefs are as a leader. Thank you so much for sharing your wise insights! Thanks for sharing your experience with the model! Did you use the Stickie dots to locate the placement of each team on the grid? Glad the diagnostic tool was of use! Way to go to with the reflections on your decision making beliefs as well. Keep me posted on how it goes!